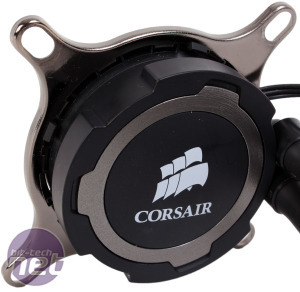 When we looked at the Corsair Hydro H105, we noted that its design was similar to the H100i but that it featured a thicker radiator. 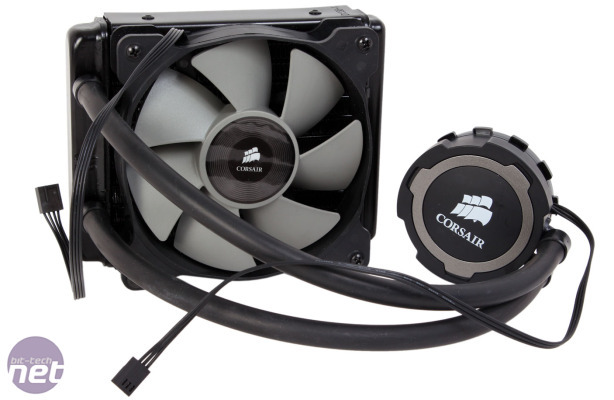 Similarly, the newest 120mm radiator model in Corsair's closed-loop lineup, the H75, bears many resemblances to the well received H80i, with a key difference again being radiator thickness. 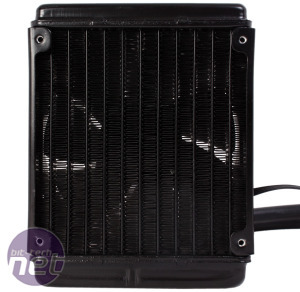 In this case, however, the H75 radiator is slimmer, coming in at 25mm compared to 38mm. It's therefore no thicker than a standard case fan. 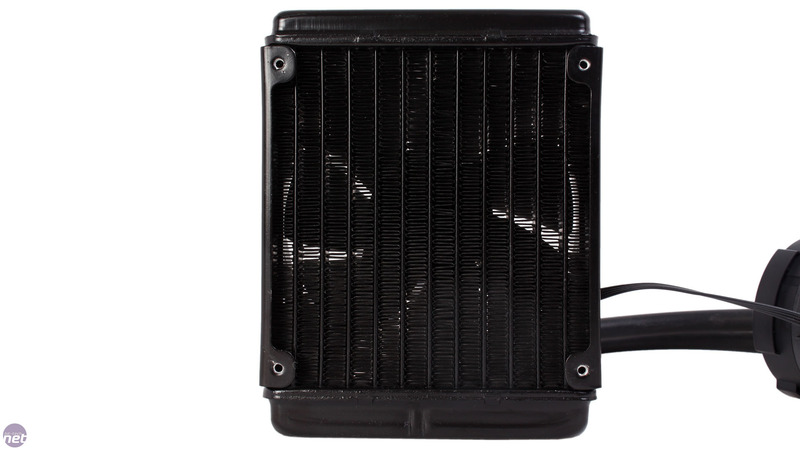 At £61, the H75 is in competition with a number of big flagship air coolers. Also, while it's more expensive than the H60, it does come in cheaper than the H80i and the 140mm H90. 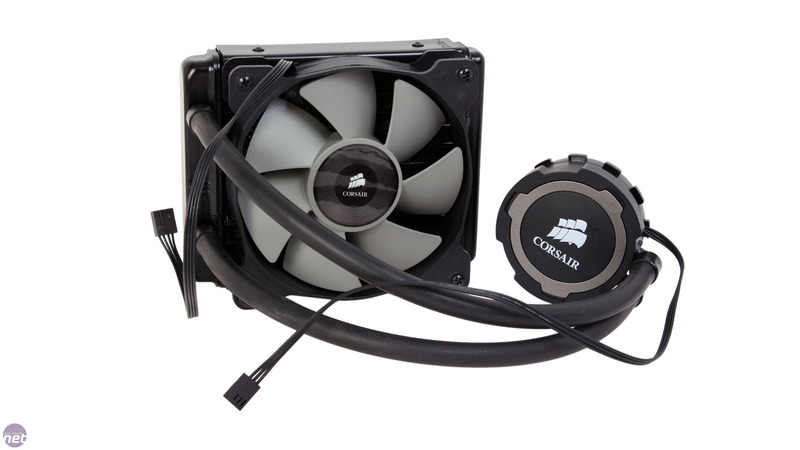 The differences between these coolers often aren't much, as they are all based on single radiator designs, but there's enough variety to allow Corsair to adequately cover a decent range of price points. The H75's tubing is lower in diameter than that of the H80i. It may therefore have a more limited flow rate, but equally it should be easier to manoeuvre within tighter spaces. We certainly found it to be very flexible and Corsair's claims of it being kink-resistant also proved true in our experience. 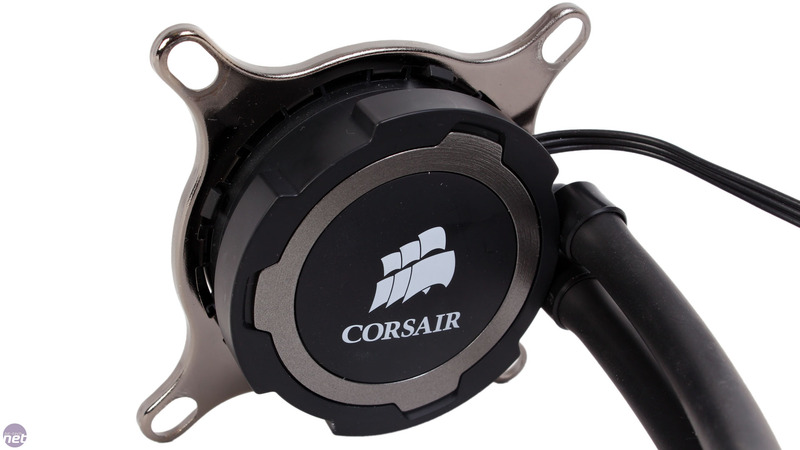 As with all of its recent liquid coolers, Corsair is sticking with a pair of SP120L fans to provide airflow for the H75. 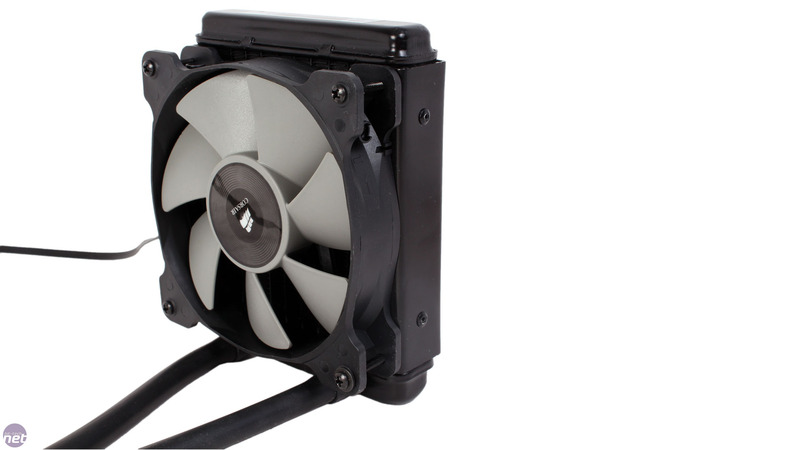 These feature seven steeply angled and wide fan blades and come in black and grey to match the pump unit. PWM functionality is supported, with a Y-cable also supplied so that both can be controlled via a single header. 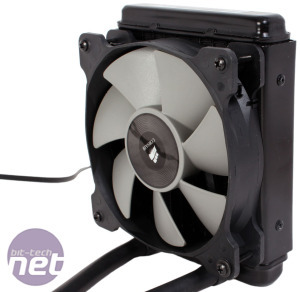 It's good to see two fans bundled with a unit that's comparatively quite cheap, as a push-pull set-up will hopefully enable users to achieve better cooling with less noise. The pump unit itself is relatively low profile. 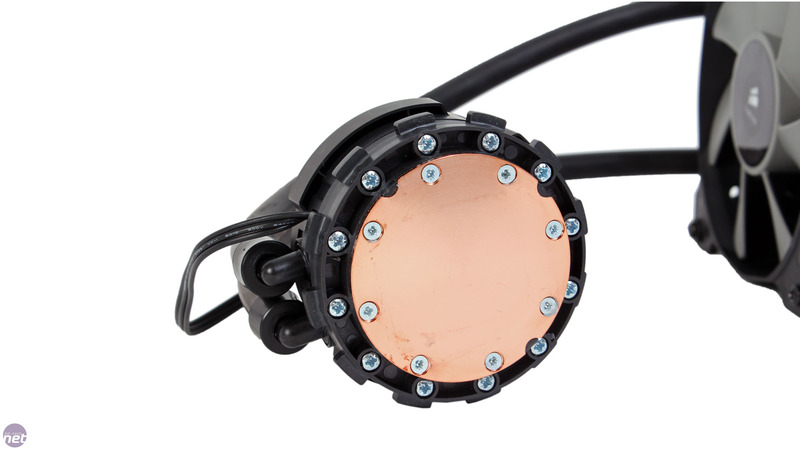 It has a copper microfin baseplate, but, unlike the H105, it has no interchangeable coloured rings. It's not a major omission but it's still a strange one given that both have the same pump unit design anyway. 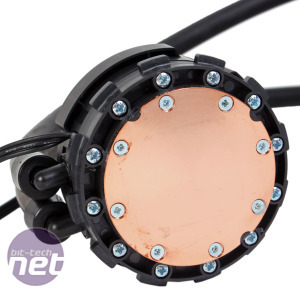 As ever, the pump will need its own 3-pin header connection to draw power from. Installation is the same as it is with the H105, so we've few complaints here. The pump can actually be installed without tools, while the sliding pins on the Intel backplate make lining everything up very easy. However, one of the nuts in it began twisting within its socket when we tried to remove it – pliers make this an easy fix, but it's still one reason why we'd prefer a metal backplate over the current plastic one.